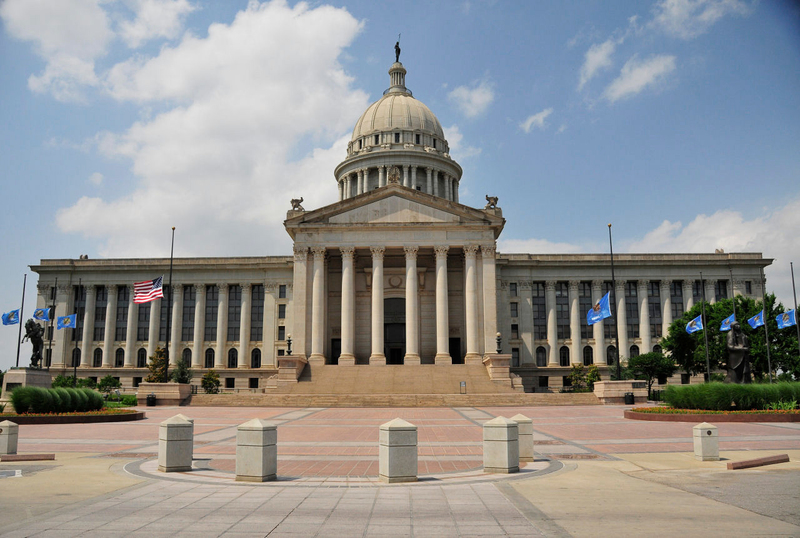 Oklahoma State Capitol in Oklahoma City; photo by Serge Melki on Flickr (use permitted with attribution). The city is bisected by the North Canadian River (recently renamed the Oklahoma River inside city limits). Oklahoma City is a modern metropolis with a rugged Western past. Be a part of a city on the rise: Oklahoma City. Video of Be a part of a city on the rise: Oklahoma City.